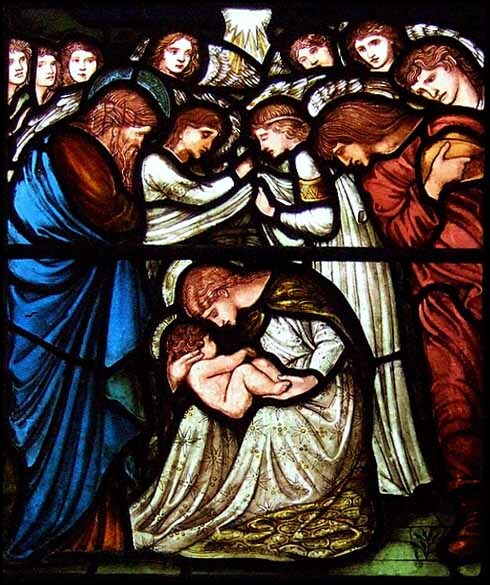 The story of the incarnation is the story of God keeping His word to mankind. All through the Old Testament we bump into stories of the prophets of God murmuring on about all these great and terrible things God was going to do. Many of these prophecies were fulfilled, but many remained incomplete. One, in particular, stood out. The people of God knew this promise as the promise of the Messiah. Literally, hundreds of direct prophecies as well as other shadows and allusions existed as to the nature of this man who would come to bring freedom to his people. But the story of the fulfilled promises is no happy cartoon with a simple plot. It was an epic drama with frustrating twists and turns. God’s people faced down and eventually succumbed to numerous foreign invasions and natural phenomenon, which darkened their vision of the prophecies brought to them time and time again. In the face of real life uncertainty, everyone had to be wondering whether or not they could be very certain about all of the promises that God had made them. Theodicy (the challenge of God’s sovereignty in the midst of suffering), it seems, is the night that obscures the promises of God. When things don’t turn out the way we had hoped, we tend to doubt God’s promises, but for all our doubting, God still keeps his promises. This lesson lies at the heart of the incarnation. We didn’t keep our promises, but God kept his. We left off believing him because times were difficult, but he always was there and stayed true to his word. When he spoke of one who would suffer for his people and would reign on the throne of David (2 Sam. 7:12-16; Lk. 1:31-33), he meant it and carried through with his promises. 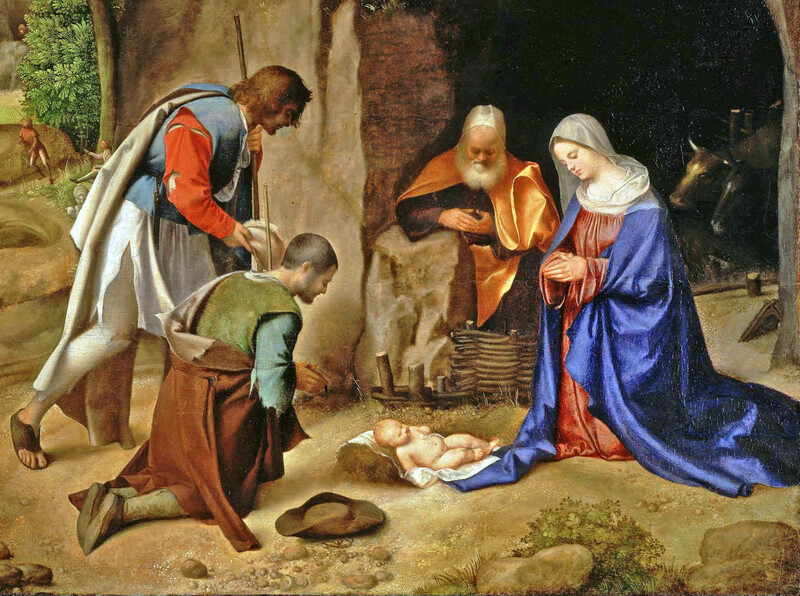 As we approach this time of remembrance of the incarnation, you too may find yourself questioning the promises of God. Is he really all that he claimed to be? In the face of an economic meltdown, will he be there to support you and your family? In the midst of an exploding marriage, will you ever have peace for your soul? In the weeks following the loss of a loved one, will you ever find healing for the hurt? In the valley of ongoing, addictive failure, will you ever find freedom? In the numbness of a repetitive and unenjoyable weekly schedule, will you ever find joy and contentment? These questions are nothing new. The answer to the greatest frustrations of the soul can be found in the resounding “Yes” of the fulfilled prophecies. If God was true to his word, even to the extent of taking upon himself humanity and suffering and dying for you and me, then surely he will care for me in the midst of the throes of a bad economy, a trying relationship, a lost loved one, a persistent addiction, or a boring existence. This Christmas remember the fulfilled promises of God! In the most ancient of civilizations we find a very basic principle. We read in the African continent of the divinity of the Pharaohs and in the Americas, the worship of the Mayan rulers. Not far removed we find the imperial cult of the Romans in Europe and the emperor worship of the Japanese in Asia. From the elevation of Buddha, to the feats of Hercules, to the superiority of Nietzsche’s Übermensch, man has sought one goal – to become a god. In some sense this could be seen as a unifying theme of the religious tradition of the entire world. The ultimate desire of the world religions could be simply seen as a process of attempting to make men into gods. Indeed, in the Bible, we find that the first sin was committed in order that man could be like God and that the first perversion of religion was found in the attempt to reach a tower to heaven. “If only we can reach heaven,” they imagined, “we can take our rightful place again.” Every civilization has taught different methods of becoming a god, but they all hold to the same basic thesis. No doubt, the same essential thought prevails today. Nietzsche well captured the view of his burgeoning modernistic society by teaching that man could become god only by overcoming the inhibitions of society and religion. Post-modern philosophy takes this principle a step further. The post-modern worldview holds that all men are equal gods. We all deserve to be “supermen.” What each man speaks is absolute truth to him. The cardinal sin is to offend the esteem and worship due to the deity who lives across the picket fence. Man controls his own fate. Man makes or destroys his own universe. All men have become gods. In the face of these paradigms, the Christian religion stands with pure exception. Only in Christianity do we find the opposite! Man cannot become a god. In fact, man cannot even become good. Man is hopeless because of his sin. In spite of all God’s actions, man only demonstrates his inability to even begin to make things right with God. Oh what a helpless state man is in! But here comes the greatest paradox in the religious traditions of the world. There is no man that becomes god to lead others to godhood, rather God all God, robed in glorious splendor, transcendent, majestic, and clothed in light, becomes man! And why would such a God reveal Himself in such a manner? Was it to bring judgment on the rebellious men whom He had created? Was it to mock and to scorn those who could not attain divinity? No, God became man so that He Himself might bear man’s judgment, mockery, and scorn so that He might reconcile man to God. Only in the Gospel do we find such a radical philosophy, namely that man cannot become a god, but that God became a man to bring all men to God!